For the first time ever, I spent New Year’s Eve in the air. We decided to head to Bali just a few days before and this was the only available flight. And what a way to start the New Year! 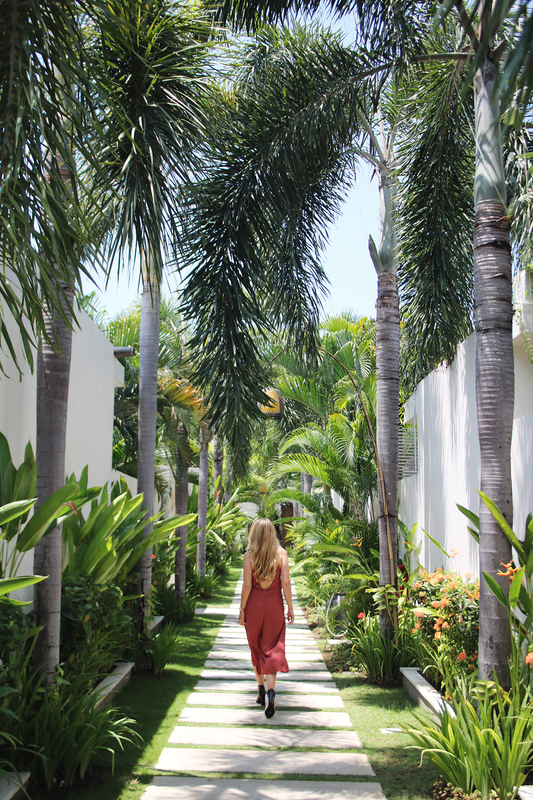 Our friends at Chandra Villa’s in Seminyak had another beautiful villa available and I was just ecstatic to be back. We were greeted by the same lovely people as before and it truly felt like we were coming back home. 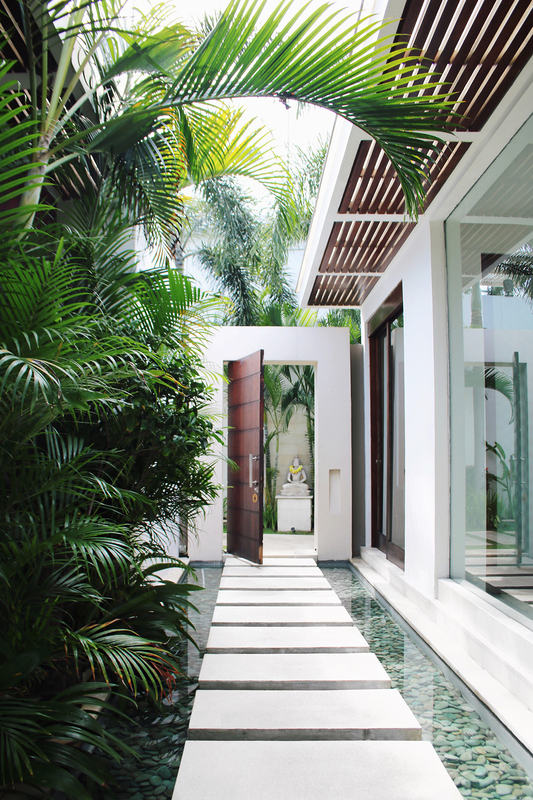 Even though this villa was different than the one we stayed at last time, it was just as wonderful and luxurious. So even though we were just with the two of us, we were in a 3 bedroom villa which actually also had a spare single room… so it was really a 3.5 bedroom villa, one with 4 bathrooms! We could have stayed in this villa comfortably with 7 people and still everyone would have had total privacy and peace. 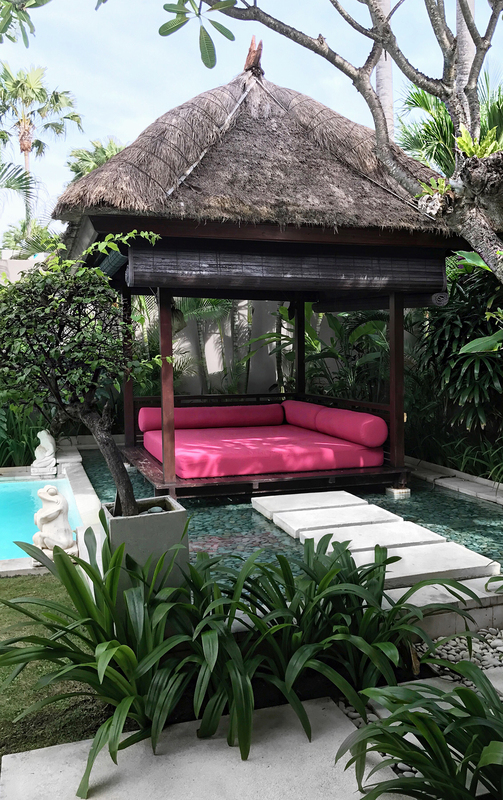 I love the open air bathrooms and the open air living room with its huge sofa (quite rare on Bali), cool ceiling fans and view over the garden and huge pool. 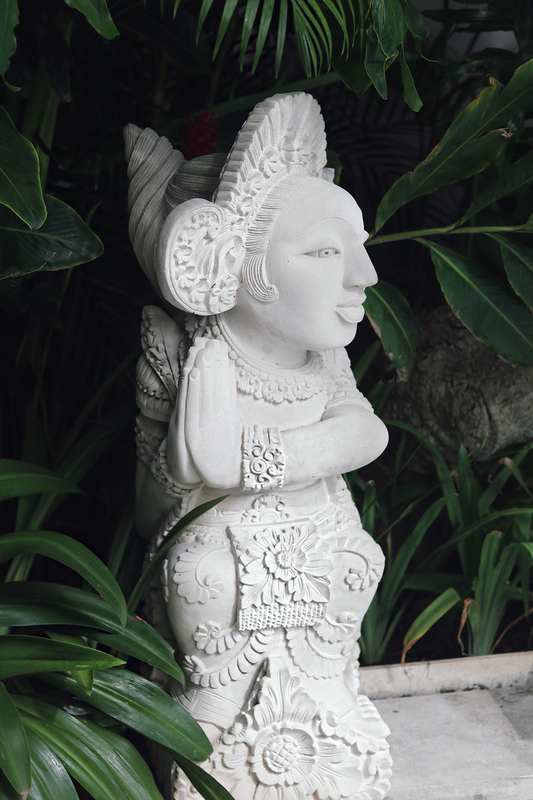 If you are in a climate as lovely as on Bali, might as well get the most out of it, right? 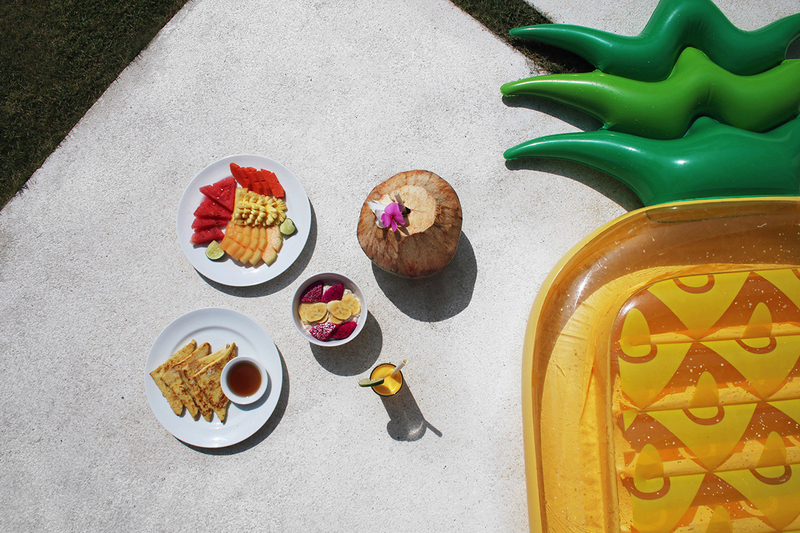 We were thrilled about the splendid breakfast made fresh in our own villa each morning, with new additions to the menu like an amazing smoothie bowl. And how could one not love having a personal butler? Still, as so often, it are the little things that stay with you. 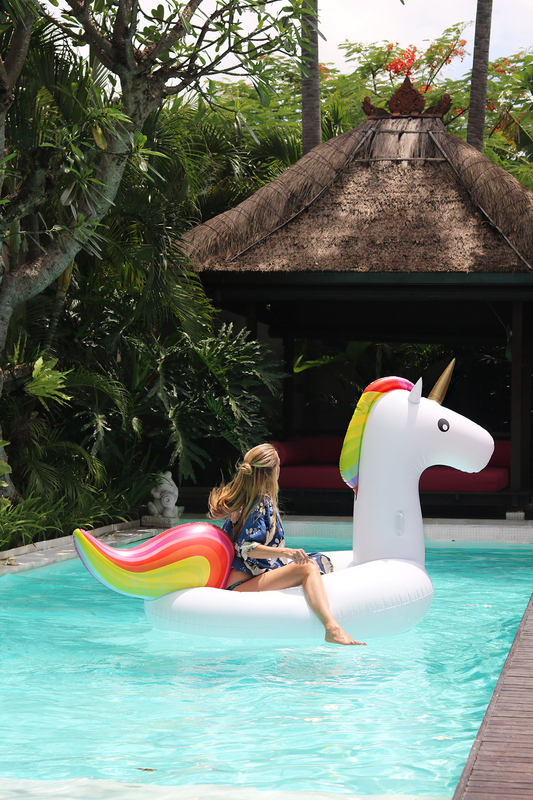 I loved that there were a pineapple and unicorn pool floats to enjoy the pool to the fullest. Chandra Villas, I miss you but I will be back soon! 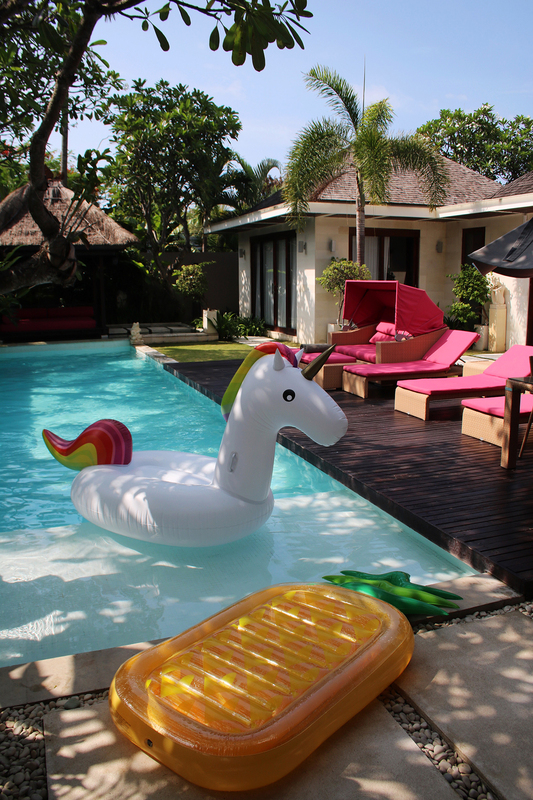 Posted in TravelTagged 3 bedroom, bali, Chandra villas, private villa, review, Seminyak, Travel bloggerBookmark the permalink. Wow stunning images and that Pool shower is amazing!!! just awesome.beautiful pictures.well written experience. Lucky you.may the very best be with you both.soon i shall spend my holidays with my family out at Chandra villas…thanx for your post dear.